BzzAgent is an international network of consumers who take part in word-of-mouth campaigns for a variety of products and services. It is a membership program that gives subscribers free products to try. After trying the free products, members review and share their experiences with the campaigns to qualify for future campaigns. Short surveys will appear in your profile. Complete them to see if there are any new campaigns available. When you complete surveys, you can accept free MyPoints offers. There are over 1 million BzzAgents in the US, Canada and the UK. 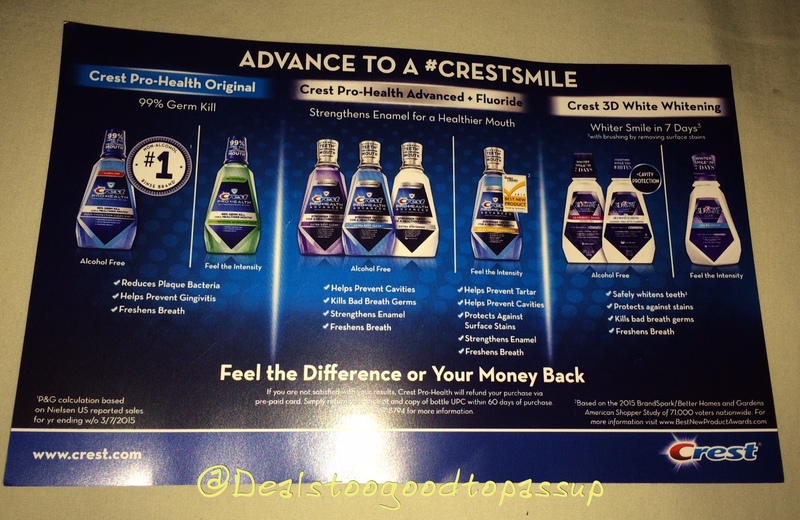 My latest campaign was to sample Crest Pro Health Advanced Extra Deep Clean Purple Mouthwash. 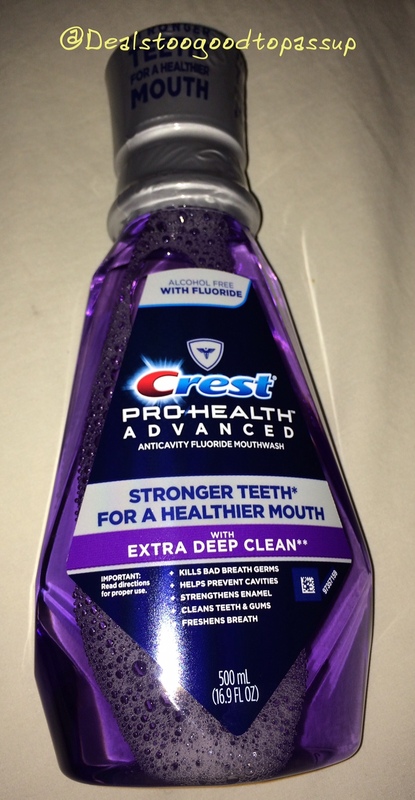 I selected purple over blue, because I’ve used a lot of blue mouthwashes in my life but cannot recall ever trying purple. This was finally my chance. Boxes usually include a product card to go over some important details of the campaign. 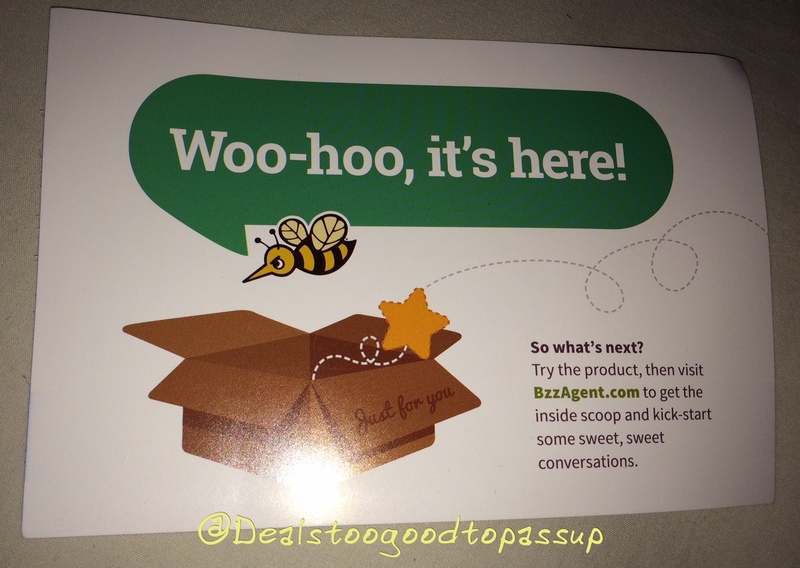 Some boxes include physical coupons for me to use and hand out to friends and family. 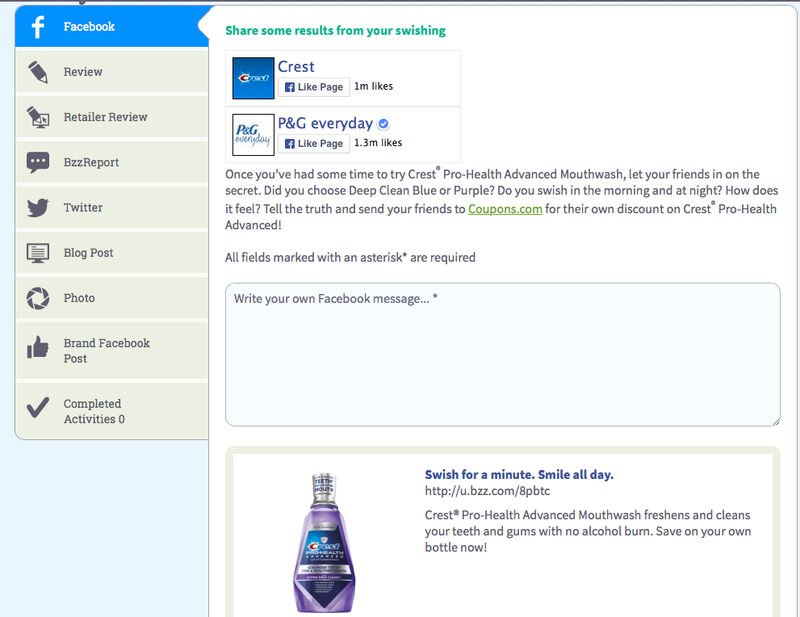 This did not, but it did enclose a link to Coupons.com. I recommend Coupons.com anyway, so I feel good sharing this coupon (even though this is the most glowing review on the product). 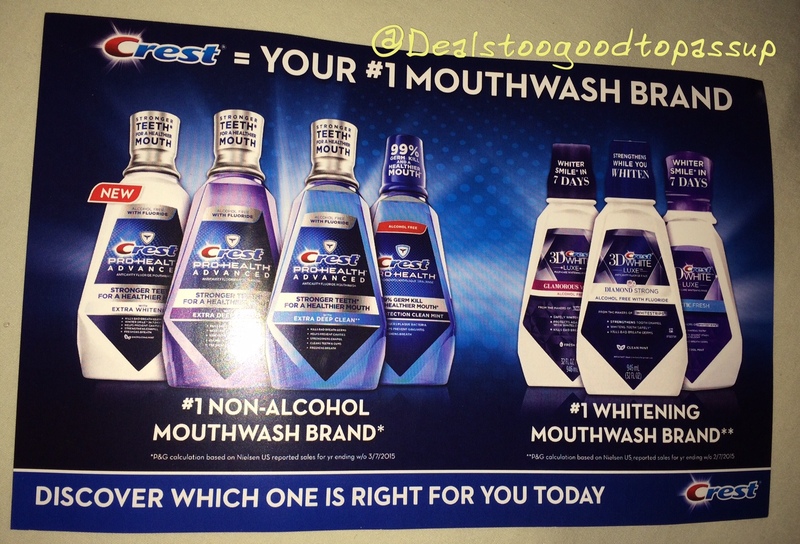 The mouthwash was large, and I appreciated that it was full-size. The taste of this mouthwash is not bad at all. There is almost no burning, so I find it easy to hold it in my mouth and swoosh for 30 seconds. I admit brands with more alcohol burn a little more forcing me to spit it out before the 30 seconds are up. Sometimes, I cannot even make it 20. My mouth definitely felt cleaner after using it, and my family confirmed my breath smelled fresher. Everything seemed right. The problem is once I went to eat or drink anything within hours of using this product the taste of the item tasted distorted. While distorting the taste of some foods is not a bad thing, it is bad when the items you know and love taste off. Luckily, the effects are temporary. Taste distortion is strong from 0-2 hours and starts fading after that. Around the 4 hour mark, things taste like themselves again. I learned to use this right after breakfast on mornings when I was only drinking water. If I used it at night, I only drank water after using it (a rule I apply to night-time brushing anyway). Being restricted from any other drinks or snacks in the morning is not ideal, so I cannot see myself purchasing this. After I finish using my free sample, I will probably be done. The taste and effectiveness makes this 5 stars, but the aftertaste mixing with food makes it 1 star. Combining the two, I can rate it safely rate it 3 out of 5. Once you’ve tried the product, you have a task to complete. Completing the task helps you qualify for future programs. These are the tasks I will complete for this campaign. The list is larger than my Secret or Crest campaigns. Having a few short tasks for Zoomer Dino Jester spoiled me a bit. This is not a big deal to me, because I do not mind sharing my findings. 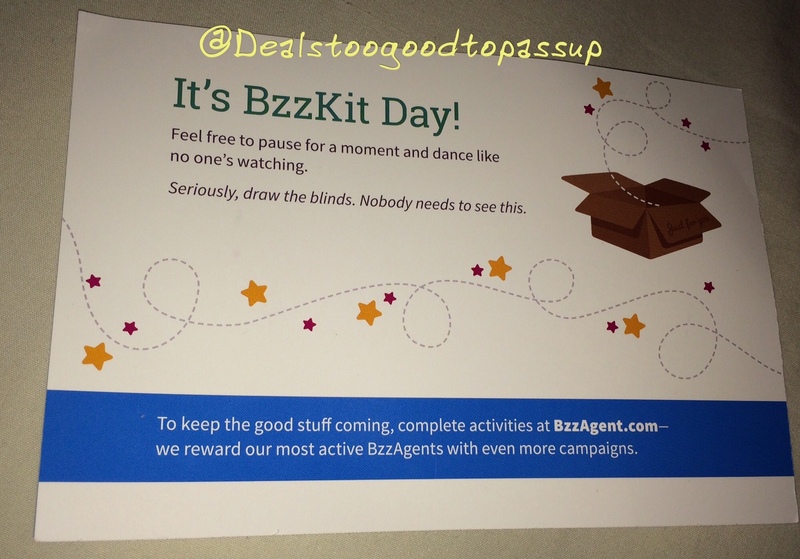 Read more about BzzAgent to see if joining is something you want to do. See all BzzAgent articles. View my main page for the guide map to the site and deeper deal exploration.